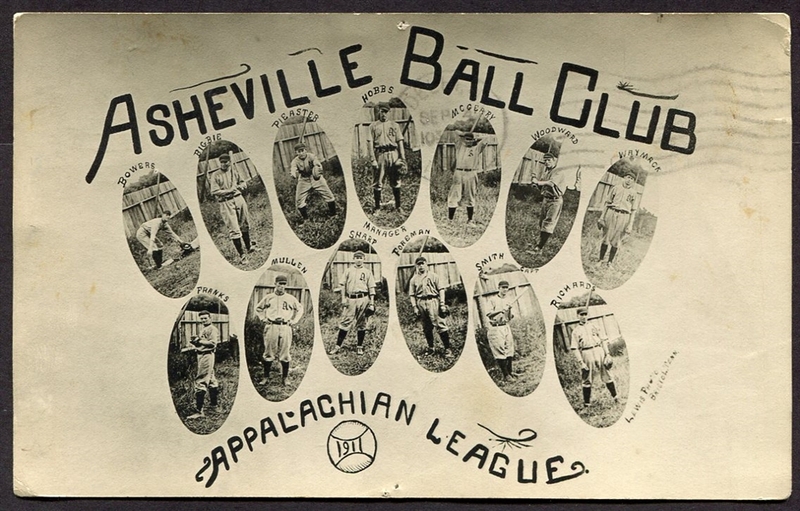 1911 Asheville Moonshiners Baseball team of the Appalachian League. A nice composite photo of thirteen of the players listed by name and position. These include John Bowers, Bigbie, S. Peaster, Louis Hobbs, William McGeary, Ben Woodward, John Waymack, Franks, John Mullin, Lee Sharp, John Foreman, Charles Smith and Jack Richards. Several of these players also appear on T209 and T210 with various teams. 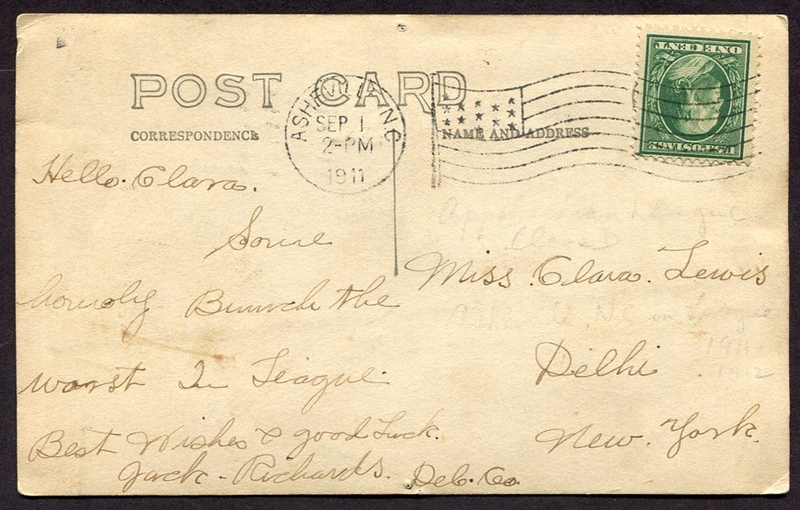 The postcard appears to have been mailed by player Jack Richards of Delaware county, NY to a Clara Lewis in Delhi, New York. There is some erased pencil writing on the back, which references the team and their record, it could probably be further erased if one chose to.